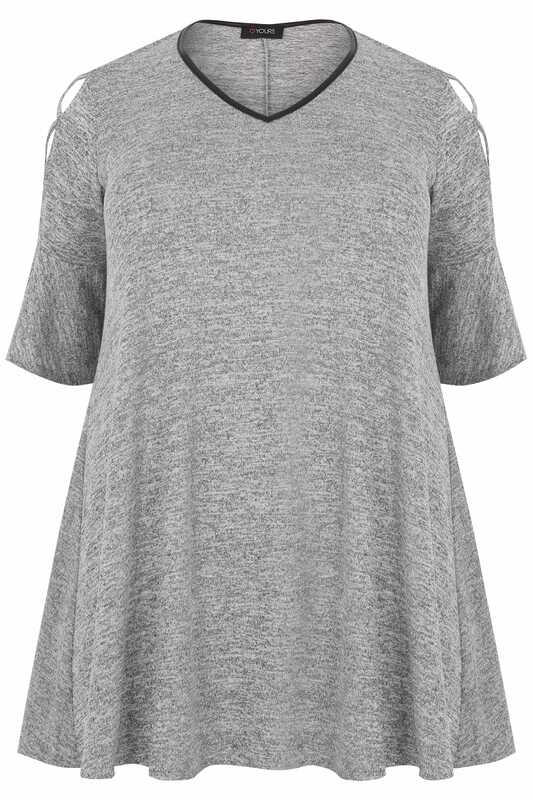 Back length from (approx): 79.5cm/31"
Made from a fine knit fabric, this stylish top is designed with a slight flare to the hem to give a flattering swing shape. Ideal for casual wear, team with skinny jeans and mules for an on-trend look. 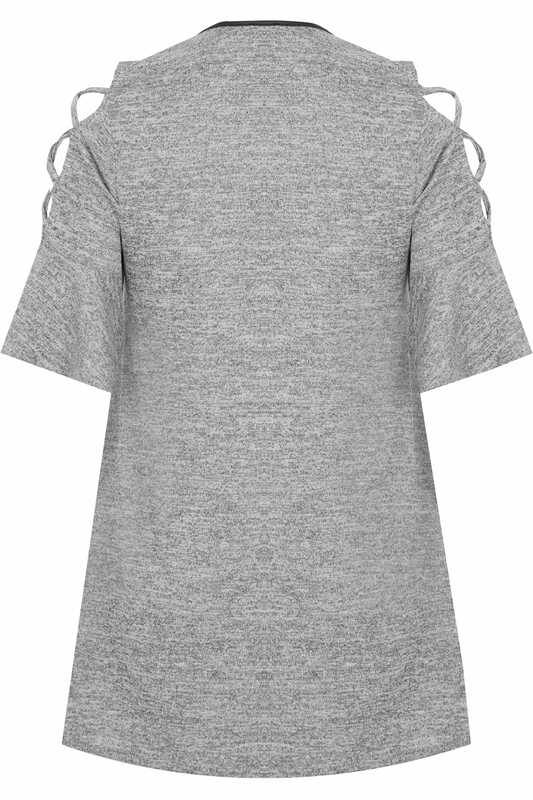 We love the lace-up shoulder look and the PU neckline.